Finally, the Nemesis Wave has arrived! After more than a year of wondering when these would show up, they are here. Were they worth the wait? 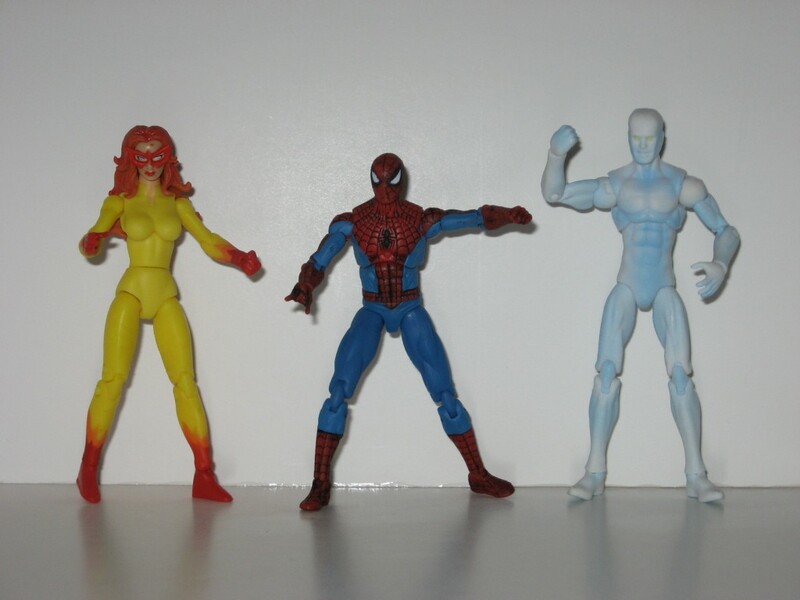 Make no mistake, it was an awesome feeling to be out hunting for Marvel Legends again. As I rounded the corner into the figure aisle, they were just at that moment being hung onto the pegs. What luck! Beast, Blackbolt, 1st Appearance Daredevil, Variant Daredevil, Nova, Punisher, Variant Punisher, and Tigra freshly out of the case. They’re mine, I thought. Get back, I mumbled aloud, as I scanned the aisle for competition! I laid down the extra Ares Wave figures that were used to fill out the case and said “Here you can have these back” to the clerk. Now quick, off to the checkout… It was a great feeling. A sorely missed feeling. This morning, I opened them and all the old complaints started to race through my mind. They could have done better than that… Did they have to stick him in the package that way, now his legs are bent… He could have used some paint, just a little, at least… Head’s too small… There had to be a better way to do the wings… Where’s the articulation… Ah, Hasbro, how I love to hate you! In all fairness, these figures were produced long before some of the more recent improvements. They are getting a little better recently, I have to admit. 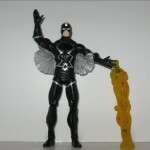 Blackbolt. Minimal paint works here, but I hate the wings! He certainly could have benefited from the use of ankle swivels and a flying stand would have also been a nice addition. 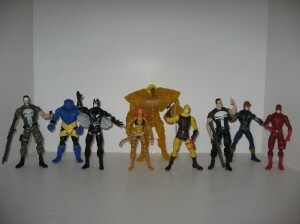 I am glad to add the character to my collection and I would like to see more of the Inhumans done in the future. I just don’t have a lot more to say except, meh! 1st Appearance Daredevil and Variant Daredevil. Everyone is talking on the forums about how this figure is so great, best DD yet. I’m just not seeing it, sorry. 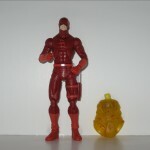 Is he better than some of the other figures in this wave, yes, but the best Daredevil? 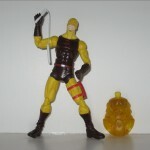 I’m still partial to the Face-Off Daredevil, at least right now. Maybe he’ll grow on me with time. A wash would have helped and more articulation please. 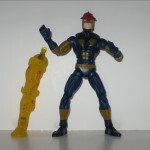 Nova, another cool character whose figure is just lack-luster at best. “Spare the paint, make more profit” is undoubtedly Hasbro’s motto. I really wish they would just get rid of the Quicksilver buck. 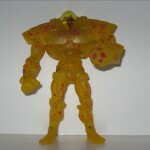 That squarish sculpted body has been re-used far too many times, in my opinion. Maybe if the gold was just a bit more, um, gold. Maybe that would help. No, I doubt it. Once again I have to say, meh! 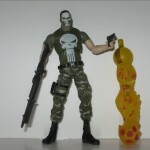 The Punisher’s actually are not too bad, at least not the Camouflage version. I’m not sure if it is comic accurate, but I like it. It may even be my favorite from this wave. I’m glad that they come with two guns, but I would have like to have seen a few more. 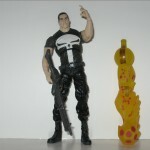 Punisher needs to come with an arsenal. I also think we have enough Punisher’s for now. Let’s move on to some new characters that we don’t have please and thank you. I love the Avenger’s and I want more. 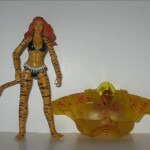 Tigra, poor Tigra, if only you could have been super-posable. 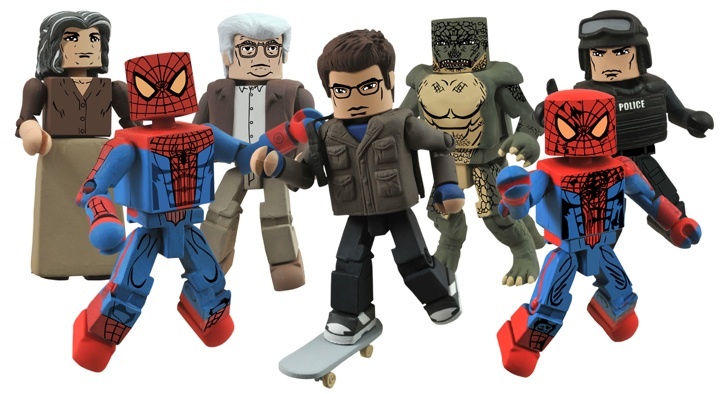 I’d take just posable. 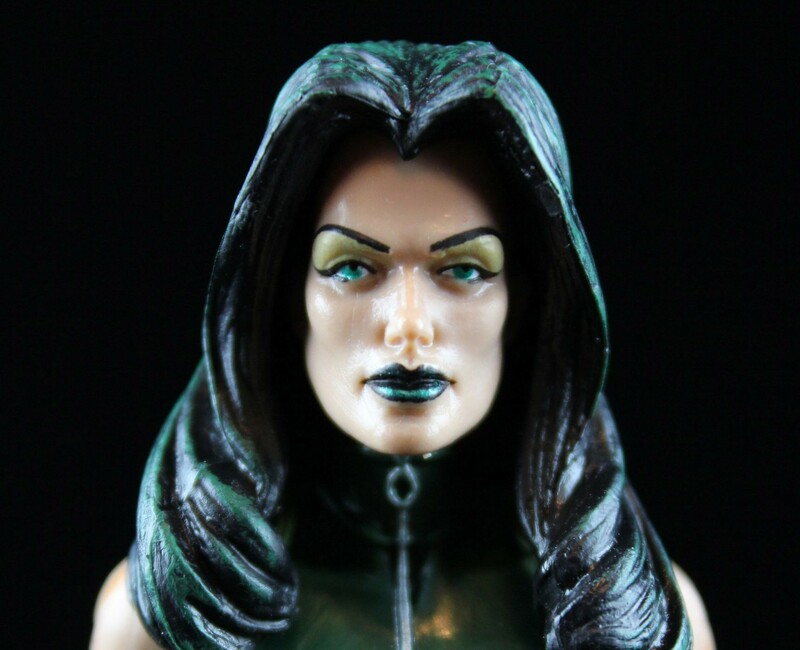 I understand the desire to keep the female sculpts fluid, but why at the sacrifice of articulation? Would ball-jointed upper thighs and swivel ankles take away from the fluid sculpt? I don’t think so. 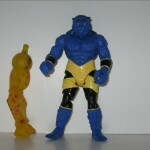 The Build a Figure Nemesis. I loved the Age of Apocalypse story-line. I am one of the minority that would like to see more representations from those stories. The Nemesis figure is cool, whether you like the stories or not. Who couldn’t love a burnt up skeleton inside a huge armor suit with an enormous cannon for a hand? I do. This figure made all of the rest of the poorly done figures worth the investment for me. 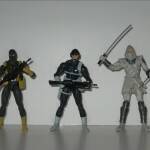 I want more Age of Apocalypse Hasbro. Do ya hear me? 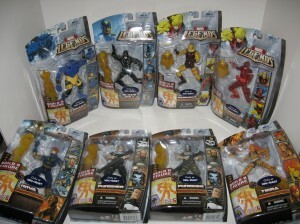 I am glad to have some new Marvel Legends, but I’m more looking forward to the second wave of Two-packs.